What does hail damage do to a roof? 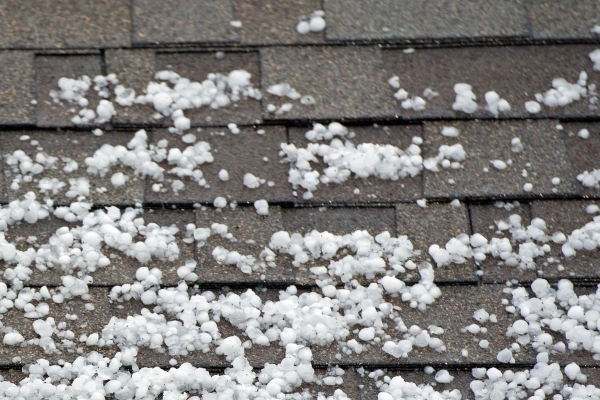 While one can imagine that rain and snowstorm’s effects on any roofing material, hailstones are different. They carry weight and will impact roofs with such a force equivalent to objects thrown from a higher location. You can imagine the force equivalent to dropping a rock while standing on a twelve-foot steel ladder. 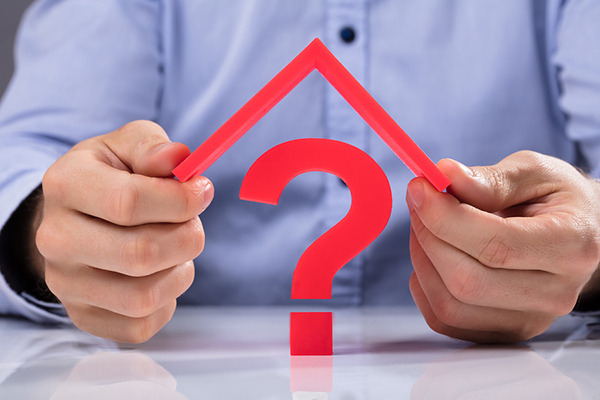 Here are some information you need to know to answer this question that may bother you about your roof in the future. If you understand what hail damage does to your roofs, then you can quickly introduce repairs or tell the issues so your contractor can begin work as fast as possible. What does hail damage do to a roof? Imagine hailstones have the speed of rocks thrown with the arms of a normal person or a baseball player from a high place. 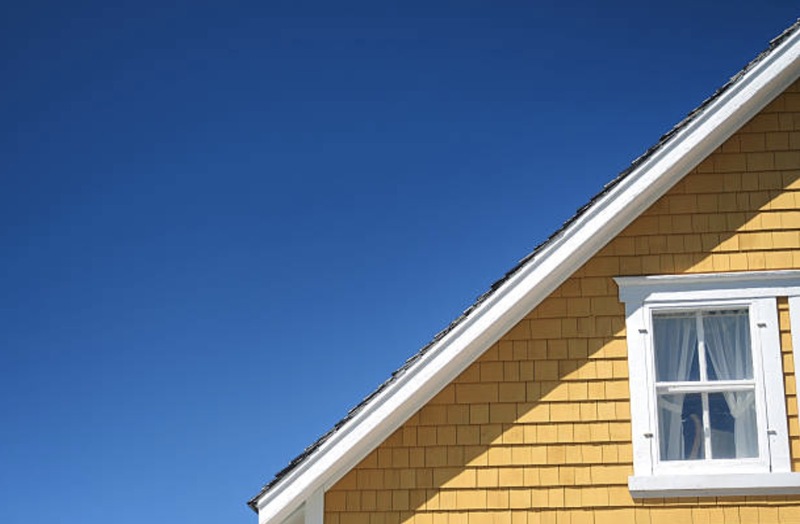 It will cause certain types of damage upon landing on your roof. Numerous factors affect its landing speed, namely the wind speed, its size and density, and the effects of structures it will initially hit before landing on your roof. 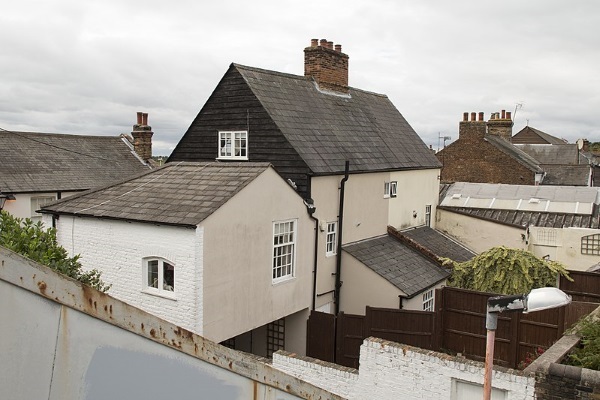 If your house is in an urban location with buildings higher than your property, then the hailstorm damage might not be too extensive. However, despite sounding safer, you’ll still need to know what does hail damage do to a roof in an urban location. The hail will hit these structures first. Because the buildings have staggered their initial speed, the velocities of the hailstones change and will impact your roof with less force. The same is applicable to houses situated in densely forested areas where trees can stagger the speed of hailstones before hitting any roofs. A hailstones’ speed depends on its size and density. Larger hailstones the size of softballs will create extensive damage to any roofing material given the added velocity their weight adds to their trajectory. The damage is more extensive with sharp-edged hailstones. You can imagine an ice cube the size of softballs landing on your roof and puncturing the material with their edges. 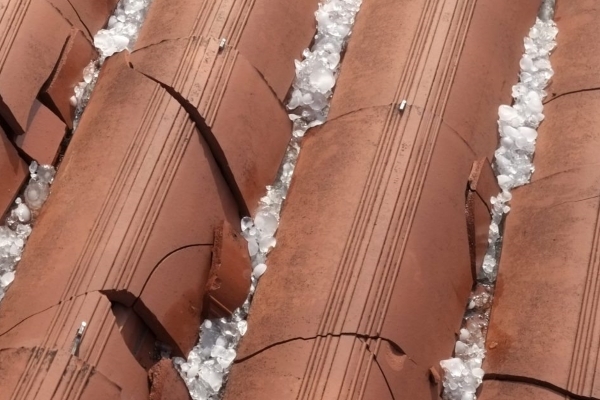 Even with smaller hailstones, you’ll still need to know what does hail damage do to a roof. It will cause immense damage if they have sharp edges. However, smooth-edged hailstones with the size of peas are considerably harmless unless they have exceptional velocities upon landing. Hailstones don’t land on a straight line. The wind influences their trajectory and velocity. Strong winds that blow rain away from your home will slightly reduce hailstone velocity. However, if the wind direction heads straight for your property, you can expect severe roofing material damage. Hailstorms are the bane of any property because of their destructive capabilities. 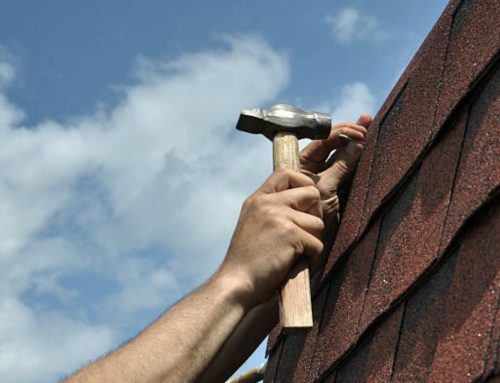 You can even say after the hailstorm season is the best time to replace your roof. 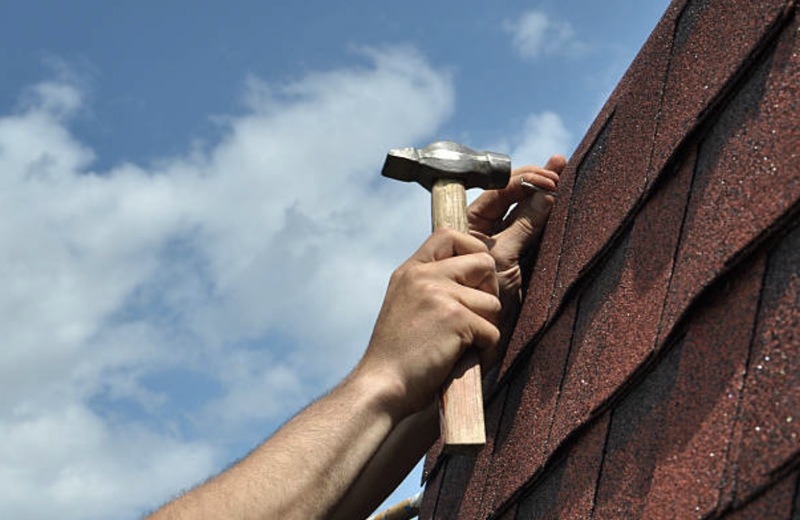 However, if you can assess the damage early, you can make immediate repairs or hasten the contractors’ work on your roof the day after the storm. Here are the appearances and effects of hailstone damage on roofs. Based on the impact hailstones do against asphalt shingles and roofs, it is possible the damage looks similar to golf ball divots made on greens and bunkers. Asphalt’s tough exterior receives only cosmetic damage. Hail hits appear as black-colored divots. Most hail damages appear without any recognizable pattern given the unpredictable landing spots of hailstorms. Some of the divots may expose the roofing felt, a sign heavier or high-velocity hailstones made an impact on the roof. 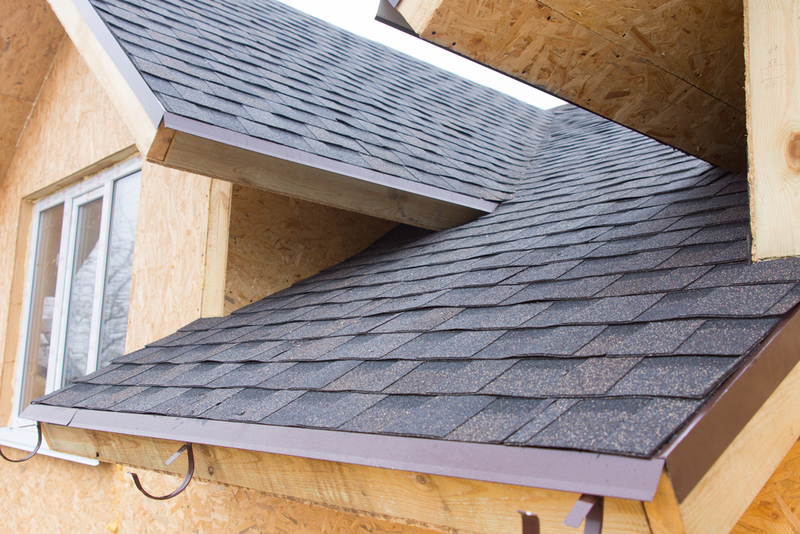 Wood shingles are weaker compared to asphalt shingles and flat roofs. 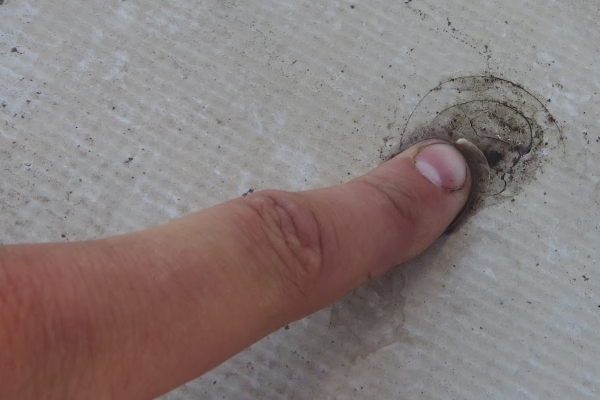 If you have ever missed hitting a nail using a hammer, you can see a small, discolored impact spot. Depending on the wood’s color, it could be brown or orange in color. Sharp hailstones will create splits that are sharp-edged and ragged. It might look like the edges of a wood plank torn apart with a hammer landing in its middle spot. Metal roofs are already noisy with the small rapping sounds heard during normal rainstorms. 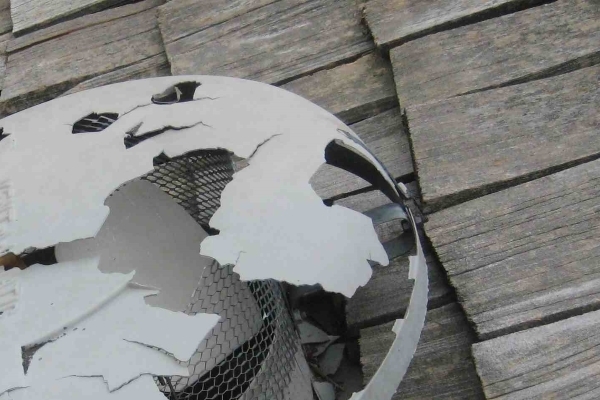 During hailstorms, metal roofs will produce a “ding” sound. It is similar to dropping nails on metal roofs from a high location. Asphalt and wood roofs receive divots after a hailstorm. Metal roofed properties will see huge dents and possible punctures from large-sized hailstones. However, in most cases, contractors are the ones who can identify which dents will become possible leaks during inspections. Reinforced ethylene propylene diene monomer (EPDM) roofs will suffer almost the same damage as metal roofs with dents and possible punctures. However, because of their softer and puncture-prone composition, even reinforced EPDM will pierce from pea-sized hailstones. 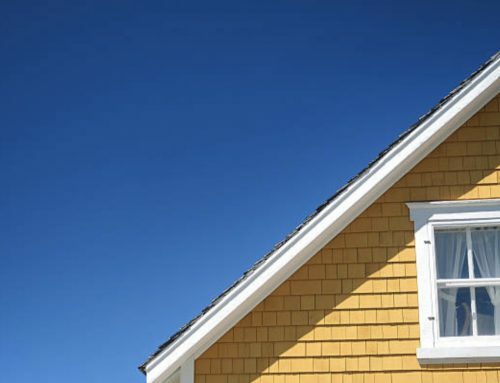 If your rubber-roofed home received faced an extensive hailstorm with stones the sizes of softballs, it is possible you may need a roofing restoration or replacement immediately. Thermoplastic Polyolefin (TPO) roofs are stronger EPDM variants. They will last better than EPDM roofs during a hailstorm. However, at least 5 out of 10 hailstones during a strong hailstorm will cause immense damage to the roof. 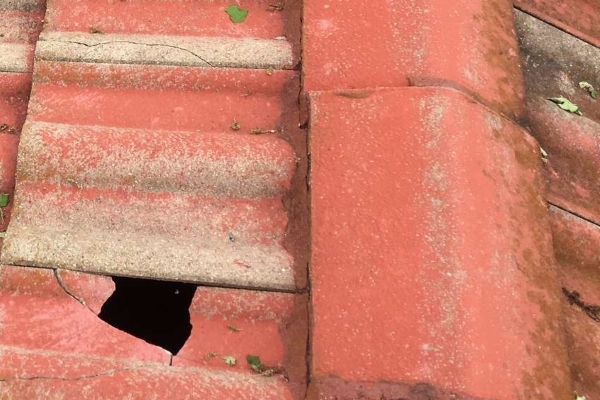 TPO hailstone damage looks similar to EPDM damage: it strips some parts of the material away and some may puncture through the membrane and into the underlayment. 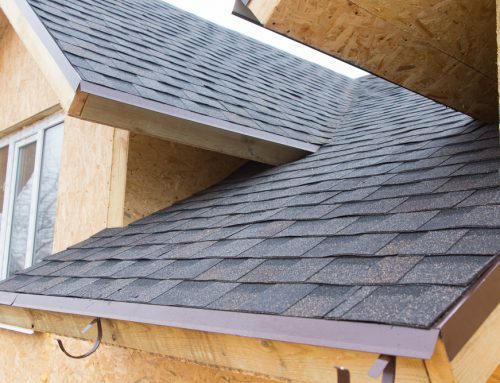 Polyvinyl Chloride (PVC) roofs will withstand hailstorms the same as asphalt roofs. Their strong and durable composition will indicate small divots, dents, and bruises similar to apples after a severe hailstorm. In extreme cases, households will only need to repair the damaged PVC membrane areas. However, contractors are the only ones who can identify whether a PVC roof’s dents are susceptible to further damages. When Will You Need Repairs and Enhancements? Your roof suffered severely after a rainstorm if you see extensive number of divots, dents, and other types of punctures. Even numerous dents may require repair or restoration services because some of these dents may be too deep, making it possible for rainwater to seep in and cause further damage until it begins leaking. In some cases, harmless-looking damage might not be what they seem. 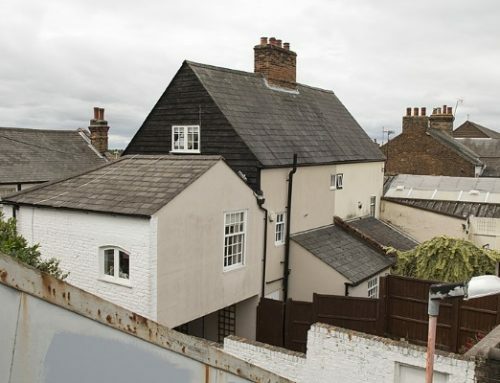 In such situations, contractors would be the only ones capable of inspecting and assessing whether the hail damage is extensive enough to cause further trouble. If you know what does hail damage do to a roof, then you have a great chance of making sure the repairs you make are effective. Each roof suffers hail damage differently, so it is best to identify your roofing material and know what to expect after a hailstorm. 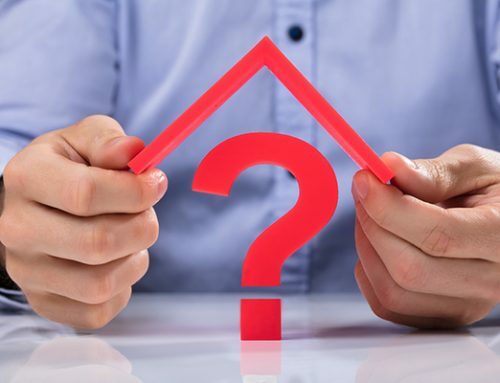 In some cases, you will need professional inspectors to check the status of your roof to make sure no damages will become bigger headaches later on.